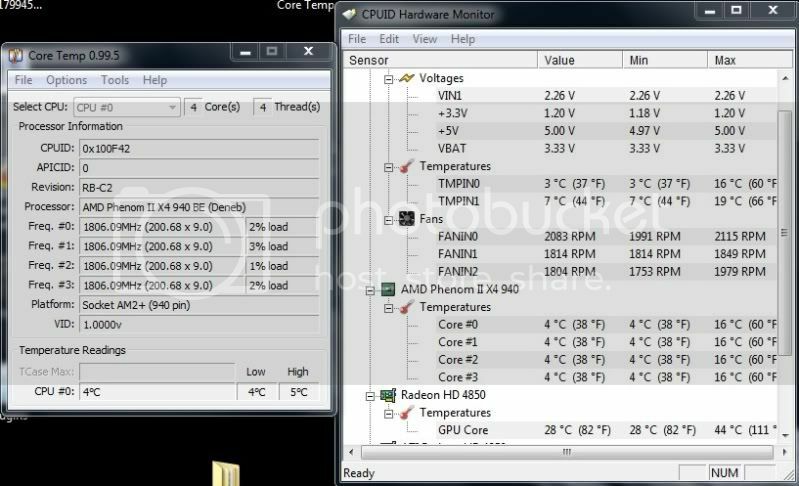 Post your temperatures, preferably using a reputable app, like CPUID HW monitor. i am having trouble uploading the image. OLD thread but why not? He just opens his window since it gets ridiculously cold where he lives. I was gonna say, with temps that low, its either an open window or liquid lol. I don't care what fans you have, there's nothing out there on air that'll get that low lol. Lol even liquid wouldn't go that low. With my new heat sin that's replacing my v8.